How to Find out Heart Disease in Pregnancy ? Pregnancy is every woman's lifetime dream. 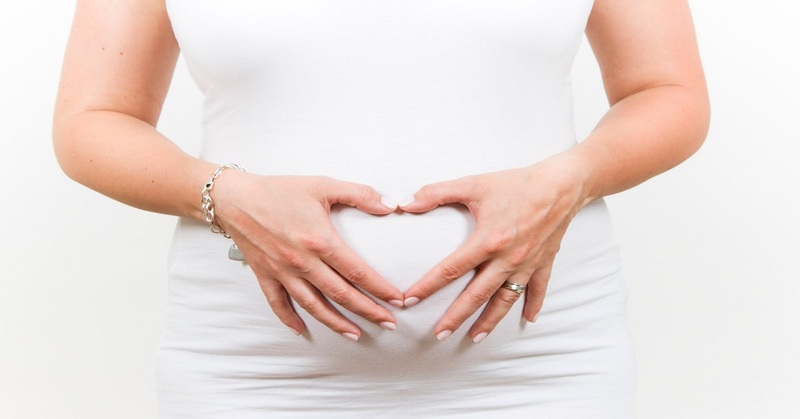 During pregnancy, there are various sorts of changes a woman undergo. These changes even affect the heart disease in pregnancy and its functionality to make pregnancy successful and also increase heart risks if not treated at right time. According to Cardiologist few of the changes can be seen and feel and many you cannot feel and see physically. Heart plays a vital role in the pregnancy time as it has to work even harder to circulate more blood to the body and the uterus as the fetus grows. Until the end of the pregnancy, woman pumps more blood when compared to a normal person. These cardiovascular changes will affect the pregnant women in various forms and these will be challenging issues in managing the pregnancy. A research done by the best cardiologist in Hyderabad India says, Around 1 in 100 pregnant women are affected by heart diseases. Heart rate increases from 10 to 20 bmp during pregnancy period when compared to the normal woman. There are various types of heart diseases affected during pregnancy and some can affect minimal and some have the very bad impact on the pregnant woman. Here are listed few. Congenital heart disease is seen commonly in pregnancy in this era. The changes in heart and its functionality are considered as the main reason to occur this disease in many pregnant women. About 85% of congenital heart disease is delivering a healthy baby and living a healthy life. With the advanced treatment techniques using the latest technology death is a rare cause of congenital heart disease. It has high-risk complications for maternal and fetal but can be cured if treated well. There are chances for the abnormalities in the baby due to congenital heart disease and may range from 3% - 50%. There should be prior counseling from Best Cardiologist in Hyderabad and should take proper decision on mode of delivery, treatment, and medication in advance of the pregnant woman. This will result in fewer complications and saves both mother and baby. During pregnancy time heart pumps 30% - 50% of blood into the body. This makes the heart to work hard and the heart valves start increasing pressure. This pressure leads to Rheumatic Heart Disease in pregnant women. The one with pre-rheumatic heart disease can expect a successful pregnancy till the end with extra monitoring, medication and support will help to improve the pregnancy. But this will affect both woman and baby and increases the heart risks. This can be managed with different treatments depending on the women situation and the seriousness of the disease. The prosthetic heart valve is used to treat patients from 1960 for both the congenital and valvular heart disease. There should be a discussion with the doctor and get counseling to know the risk factors and precautions to be taken at the time of pregnancy for both mother and baby. If the pregnant woman has baseline symptoms, Sometimes doctors may suggest of valve replacement depending upon the patient condition. The patient should undergo diagnosis of valve disease to ease the delivery process and give birth to a healthy baby. Correct treatment at the proper time will reveal from valve heart disease permanently and if not taken special care it can increase the heart risk and may lead to cardiac deaths. There are mainly two types of heart valves, Bioprosthetic and Mechanical respectively. These two may affect a woman during pregnancy but if treated well they can be cured. The pregnant woman affected by any of these types may need to face severe complications during pregnancy to the delivery healthy baby. Hence, prior counseling and proper medication are necessary. These people come under high-risk pregnancy category and need a specialized multidisciplinary team to treat them. Myocardial infarction or coronary artery disease complication during pregnancy is a rare complication. It occurs due to the increase in cholesterol, low-density lipoprotein, and the decrease in high-density lipoproteins. According to the latest report says 1 in 10,000 may affect with this during pregnancy. The diagnosis and treatment of coronary artery disease in a pregnant woman is the same as the normal non-pregnant woman. Some special care should be taken for pregnant women to make delivery ease without any further complications to the baby. There are various Changes to the heart during pregnancy and has a severe impact on women both physically and mentally. The below listed are a few defects which almost every pregnant woman undergo. Blood Volume: When a woman is about 6 weeks only pregnant blood volume starts to increase rapidly until 32-weeks gestation. This will act as a mediator in exchanging the required amount of nutrition and respiratory gases in between mother and baby. The more amount of blood volume decreases the amount of blood loss during the delivery. The blood volume quantity totally depends upon the size, number of deliveries, number of fetuses carrying and number of pregnancies. Blood pressure: During first-trimester pregnant lady's blood pressure will be normal as it will be for every woman. Then, it gradually slows down during mid-pregnancy and returns to its normal level for the final time of gestation. The high blood pressure will lead to premature baby and risks in pregnancy complication. One must take special care during pregnancy. This increase in high blood pressure during pregnancy will affect the heart and results in cardiovascular disease. Blood Components: There will be about 40-50% increase in blood plasma components during pregnancy. Along with this, red blood cells will increase by about 20-30% than normal level and this will leads to a decrease in hemoglobin. It's very necessary to maintain a good amount of hemoglobin during pregnancy as it supplies rich nutrients and other components to the baby. Heart Changes: During the pregnancy period the size and the position of the heart changes. A heart is pushed upwards to the chest cavity by diaphragm because of the uterus expansion. This will also change the heart functionality. The actual size of the heart increases by 12% during pregnancy. Cardiac Output: It is generally referred to the amount of blood pumped out of the heart during pregnancy. According to pregnancyzone.com the amount of blood pumped to the body is 6.7 liters per day and it increases to 8.7 liters per day during pregnancy and thus the heart works very hard will increases heart risks. The amount of cardiac output will increase the heart rate among pregnant woman. Heart Murmur: It is a sound produced at the time of heartbeat. This is commonly developed in pregnant women because of high blood volumes in the body. But one should seek doctors advice to control or prevent it depending upon the situation. Gestation Diabetics: A woman who gains diabetics during pregnancy is known to have gestation diabetics. Few may have capabilities to resolve it after delivery but few cannot control it even after delivery and this will lead to higher heart risk if medication is not followed properly. Contractility: Though various heart functionalities start changing during pregnancy time, the left ventricular and right ventricular mostly do not appear any sort of changes in this pregnancy time. The myocardial contractility will also don't show any changes but may increase heart-related disease risk if not taken proper care. Sudden Arrhythmic Death Syndrome: There are chances of getting sudden death during pregnancy due to the high amount of physical and psychological pressure on the pregnant woman. This will increase the sudden death in many women. There is no special warning sign to predict this disease in woman. Extreme swelling of the body. The risk of the cardiovascular complications is increasing day-by-day and making many women lives dangerously. The risk factors in woman Pregnancy and Heart Disease are categorized into major 3 forms which are as below. The various defects risk factors are also listed. All the below risk factors can be controlled and treated with proper medication and diagnosis. Quit smoking: If a pregnant woman has the smoking habit, it should be stopped ASAP. The smoke will spoil lungs and other organs and leads to increase the risk of many heart diseases. There are the chance of even abortions and other complications to both mother and baby if not quit. Improve cholesterol levels: Bad cholesterol affects the body and changes the heart functionality. Improve the cholesterol levels and detox the bad cholesterol from the body. This will reduce obesity and improve health. Control high blood pressure: High blood pressure will result in various cardiac disease in pregnancy and if not treated properly it may lead to abnormalities in the baby. Follow a heart-healthy diet: Never skip any of the meals. Follow a healthy diet which helps in providing the rich amount of proteins, minerals, nutrients and other healthy components to the body. Always consult a doctor during the pregnancy period to know the foods to avoid and foods to be taken more to protect baby from any sort of abnormalities and diseases. Control Diabetics: Diabetics has the major impact of both body and heart during pregnancy. Few pregnant women may affect diabetes during pregnancy and cure by themselves after the delivery of the baby with the proper treatment and medication. Manage stress: Stress may cause many internal body and mental tensions and changes to the person. This may lead to depression and can cause various heart diseases. Stress management is the priority of every pregnant woman. Unnecessary tensions should be avoided and always be happy and peaceful. Healthy Foods: Eat healthy foods prescribed by the doctors by concentrating on Do's and Don'ts of the food menu. Eat quality and organic foods. Skip various unsaturated, stored foods which harm both parent and child and can cause various defects in the child. Exercise: There are special exercises, yoga, and meditation for pregnant women. No woman should follow normal exercises or yoga process during pregnancy time as they may lead to abortions. Always do this process in the guidance of experienced professional. Water: As we all know about water and its essentials. Always prefer to drink warm water during pregnancy and prefer water instead of cool drinks or other drinks. Never drink bottled water or chill water. Maintain a separate water bottle with warm water and carry where ever you go. Treat the diseases you already have whether it is related to heart or any other disease. Test for birth defects and genetic conditions. Check and control pregnancy-related complication if had in past. Make pregnant woman stress free and always keep your body and mind in a relaxed state. Adopt for pregnancy yoga and exercise which helps in ease delivery. Monthly consultations are must and medication should be taken in time. Never change multiple doctors during pregnancy follow only one clinic and doctor till the end. Pregnancy and Heart Disease is connected with hemodynamic changes. The heart diseases and various other defects are needed to be treated at right time or else there may be heart failures which lead to clinical decomposition of the pregnant woman. 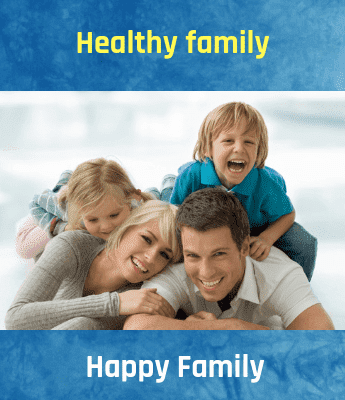 There are various treatments and diagnosis available in the medical industry which can cure most of the heart diseases in pregnant women without creating any abnormalities in the newborn baby. There should be special care taken for the pregnant woman to avoid various diseases. Few diseases treat on their own and few need special treatment.